An ad inside the 1977 J. Gruber's Hagers-Town, Town and Country Almanack. I was so scared and horrified when I read that you had taken penicillin. No wonder the doctor tested your heart. Don't ever take it again. After taking it several times it reacts on the heart and often causes death in a few minutes. Don't let any doctor give you any more of it. 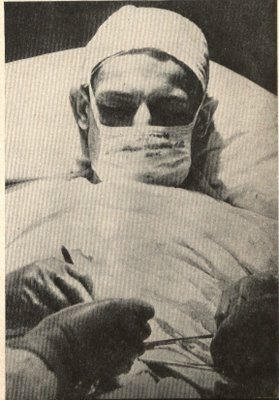 From an old copy of Encyclopedia Of Medical Self-Help. I was reading Slip's post about how fashionable scrubs are now and it got me thinking... Maybe scrubs are the new aprons. Come to think of it, I wish they made scrubs in kids sizes. Science In The Kitchen gets messy sometimes. Get yer Cherokee scrub pants, Landau medical scrubs, at Scrubs & Beyond. Make five gallons of beer for just a quarter -- and it's medicinal! Ad in the December, 1890 issue of Peterson's Magazine. 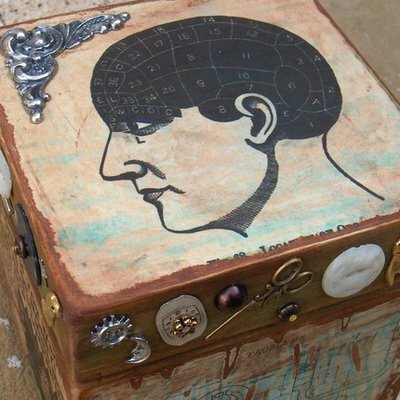 Phrenology trinket boy available from AirportRoad at Etsy. By then I think you'd be dead. Ad found in 1936, True Confessions. 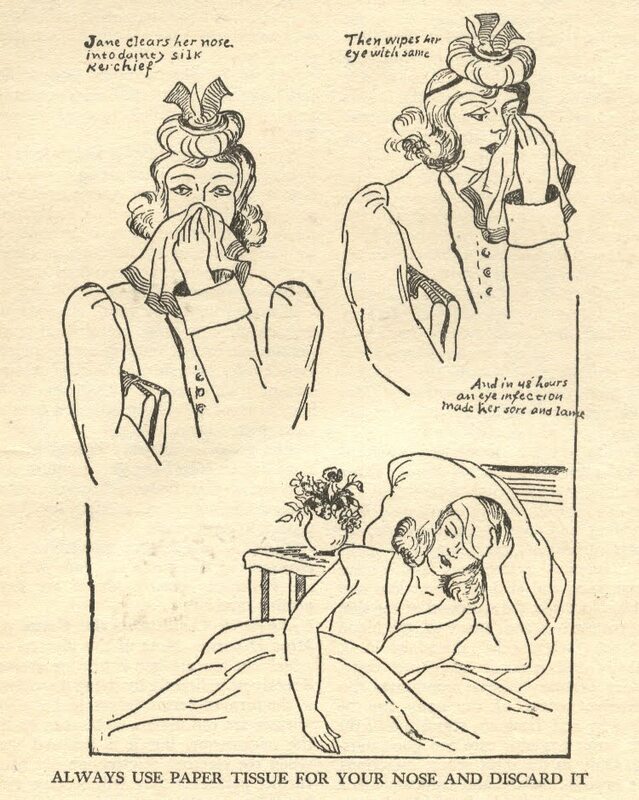 Lucky for Wilbur the Pig, Charlotte had minored in veterinarian medicine during her years at Wellesley, and was able to save his life by outlining, in her web, a week-long regiment of iron supplements to help his fading health. 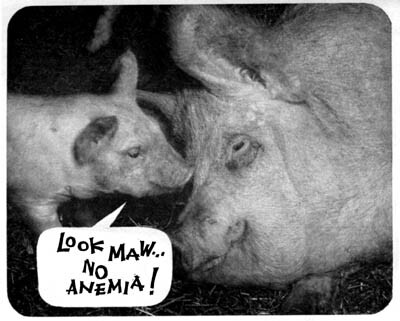 This is from an ad for anti-pig-anemia medication in 1960. 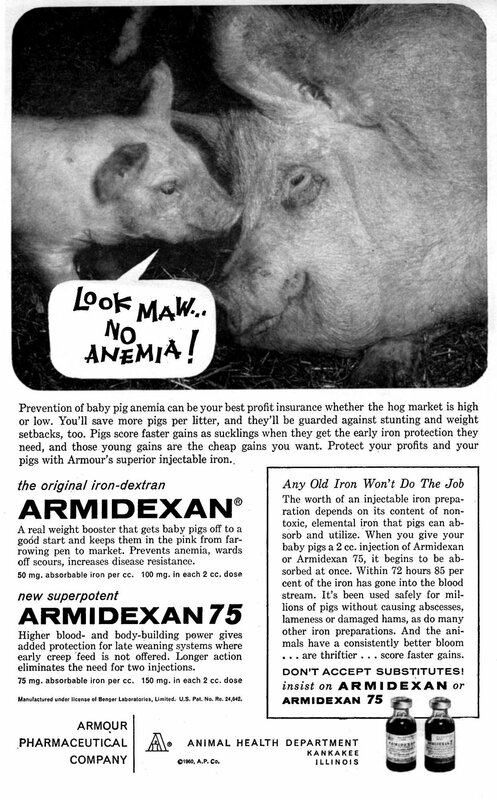 Piglet anemia is a big deal for hog raisers, and in the '60s they used Armidexan, an iron-dextran compound that isn't marketed anymore. Armidexan was produced by Armour Pharmaceuticals, and any meat-lover should make this connection: Armour and Company was king of pre-packaged meats for much of the twentieth century. Tasty, tasty, non-anemic meats. What will stop it, once and for all? 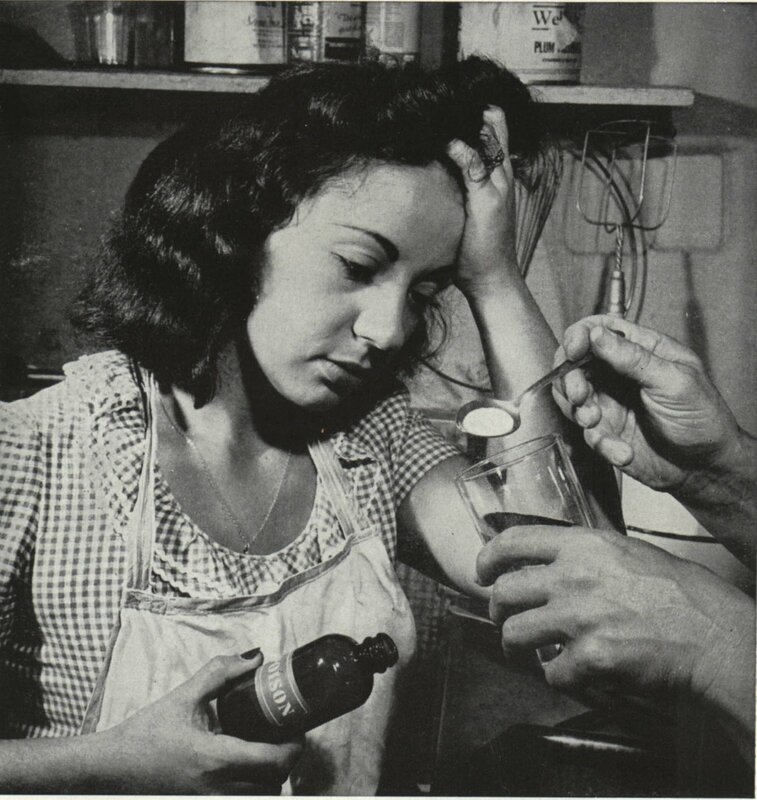 OK, so this photo captioned "Until The Doctor Arrives" (from 1954's The Family Physician) is all about first aid treatment for poison, but just saying that would be far less fun. 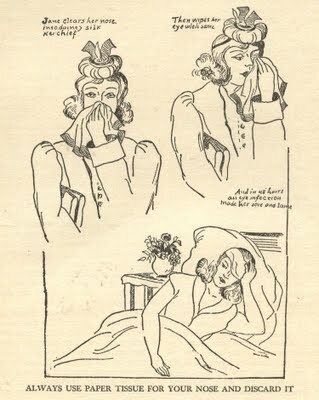 Marvels From 1954's The Family Physician -- Or Bad HMO? Nail swallowed by four-year-old boy was successfully withdrawn from his duodenum when doctors induced him to gulp chocolate malted milk containing magnet attached to a thread. 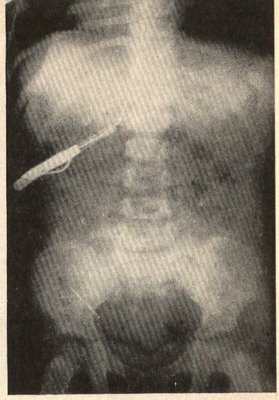 X-ray shows magnet in contact with nail, which appears as curved line beneath it. Photograph shows doctor removing his own appendix; assistant and nurse helped him to hold instruments. He did this to "get patient's attitude." If I had to choose between gulping chocolate milk with a magnet & thread (just like mom used to make!) or operating on myself, I'd gulp, baby. I can't even understand the "get patient's attitude" dealio-mcbob. I mean are there patients who actually operate on themselves? Or was the unnamed doc responding to those patients who, like visitors to art galleries, think they can do that themselves. Inside The Family Physician, by Dr. Herman Pomeranz & Dr. Irvin S. Koll, 1954, comes this exercise to strengthen your feet. 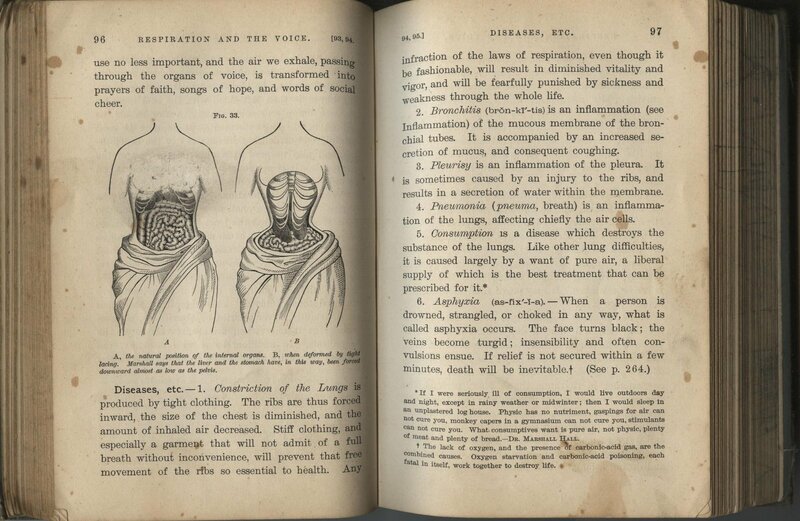 (Or so it says; the whole section is a set of incredulous health & beauty moves for women, including the old 'slap under your chin' exercise). 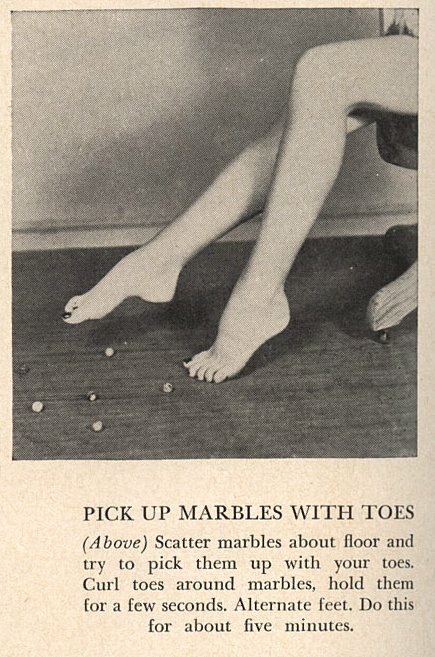 Scatter marbles about floor and try to pick them up with your toes. Curl toes around marbles, hold them for a few seconds. Alternate feet. Do this for about five minutes. Nowhere does it say to remove the marbles from the floor, which isn't very safe, Doctors. Tsk tsk. An old ex of mine would have been excellent at this. He could pick a pencil up with his toes and write -- as in long to-do lists & full-length letters. Creepy. ...But, he did have beautiful, shapely legs, as attested every Halloween with his cross-dressing costumes. 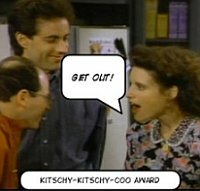 (Yeah, I think we know why he's an ex; no woman wants her man to draw more wolf-whistles for his legs than she can get.) So perhaps a lady could do well to improve her toe dexterity. 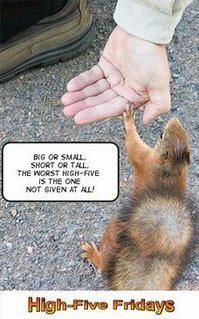 From pages 96 & 97 in Pathfinder Physiology No. 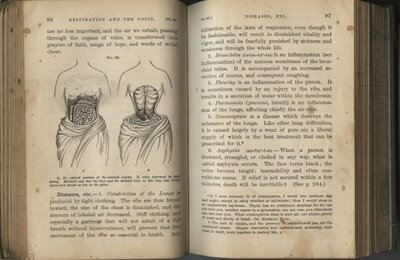 3, Hygienic Physiology, by Joel Dorman Steele, PhD., 1888. ...* If I were seriously ill of consumption, I would live outdoors day and night, except in rainy weather or midwinter; then I would sleep in an unplastered log house. Physic has no nutriment, gaspings for air can not cure you, monkey capers in a gymnasium can not cure you, stimulants can not cure you. What consumptives want is pure air, not physic, plenty of meat and plenty of bread, -- Dr. Marshall Hall. I've always heard consumption and the vapers were catch-alls for undiagnosed illnesses, like cancer, and/or diseases in the minds of fragile women. But in case I am wrong, anyone tried monkey capers for their consumption?